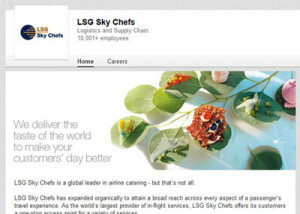 LSG Sky Chefs on LinkedIn – 20,000+ Followers. Thank you! 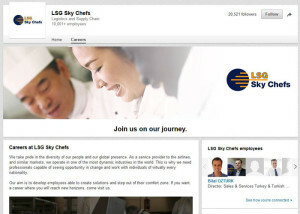 Are you aware that LSG Sky Chefs’ has a LinkedIn page? On the page, you can find jobs, company information, links to current press releases, and links to airline industry news and Trends. Recently, our company’s LinkedIn page reached a milestone of more than 20,000 followers. We would like to take the opportunity to thank our followers. We appreciate that you’re following our page and hope that you’re satisfied with our content and posts. Keep the likes and comments coming! If you’re not already following us on LinkedIn, we are happy to invite you to connect with LSG Sky Chefs.